Sunglasses not only serve as a function to protect your eyes, but they are also can serve as a fashion statement for many people. 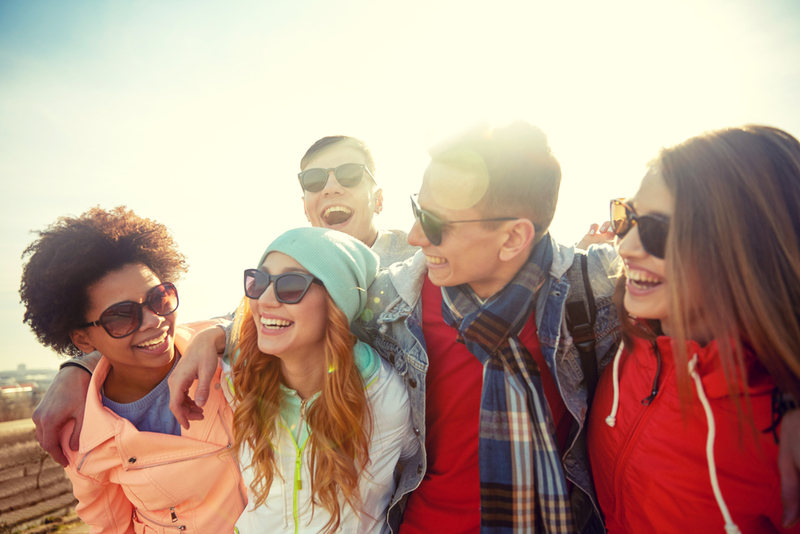 For others, picking up a pair of sunglasses at a drug store is sufficient enough, but many of the sunglasses they find don't have the level of eye protection that is truly needed. At Eye Site of Memorial, in Houston and at Eye Site of Katy, our optometrists take the time to fully examine your eyes so that your prescription sunglasses in Katy or Houston will be a true match for the needs of your eyes. In addition, if you receive glasses at one of our office locations, they are properly adjusted to fit your face, which helps to limit the amount of unnecessary glare sneaking in at the corners. The selection you'll get at our office includes far more than what you'll find at a regular store and you’ll find styles suitable for men, women, and kids. How Do Sunglasses Protect You? Even if the sun isn't especially bothersome to you, there's still a good chance that it is doing plenty of invisible harm. Ultraviolet rays (UV) can potentially cause permanent retina damage as well as conditions such as photokeratitis. Sunglasses aren’t just for sunny days, even with an overcast sky the UV rays still reflect through the clouds; especially during the peak hours of 10 a.m. and 2 p.m. Sunglasses also help when there is a lot of glare, such as in snowy areas, water, or facing the reflections in your windshield. While just about anyone can benefit from prescription sunglasses in Katy, some people are more vulnerable to sun damage than others. Many medications increase sun sensitivity, and eye conditions such as cataracts and macular degeneration often have get more affected by the sun. Frames should closely match the size of the face. In order to get the right fit, it is important to consider the size and spacing of the eyes, the bridge of the nose, and the temples. In addition, the frames should suit your activity level. There are a variety of frames available. Metal frames - are flexible and will mold to the shape of any face, however, they are not always the best choice for those active in sports. Nylon frames - are the choice for active types, because nylon frames are more durable, yet still flexible. Polycarbonate frames - are more rigid, but they tend to be very sturdy, making them a good option for kids. Plastic or acetate frames - are lighter, both are made from plastic, but regular plastic frames are more budget friendly, while there are more variety and a greater level of durability with acetate. Why Do Lens Color Matter? The lens colors of Houston prescription sunglasses vary considerably, and it is important to note that these color differences are not just a matter of taste. Some colors work better with some activities than others. For example, gray/green lenses tend to be the best for driving, because the protect against glare and can enhance depth perception without distorting color. Brown lenses have a greater level of color distortion, but provide a better quality to the light. Yellow or amber lenses are good for depth perception and contrast, but less effective when it is especially good for snow sports. Rose colored glasses enhance contrast and are unlikely to cause eyestrain. Prescription sunglasses also come in a variety of shapes, from round to square, and various other elliptical shapes. What you choose will depend on your own preferences, and face shape. Some popular brands include, Armani Exchange, Calvin Klein, Candies, Chaps, Coach, Guess, Hugo Boss, Harley Davidson, Izod, Jones New York, Liz Claiborne, Prada, Polo, Ralph Lauren, Saks Fifth Avenue, Tommy Hilfiger, and Versace. Determining your face shape is important too. A square face is well suited to oval shaped glasses, while diamonds and rectangles are good options for oval shaped faces. Oblong faces look good in frames that are somewhat triangular. Narrow lenses look best on those with round faces, and rimless glasses are good for those with diamond faces. Contact Our Eye Doctor in Houston, TX Today! At Eye Site, our staff at both our Houston or Katy office have a knowledgeable staff that will help you make a great choice of prescription sunglasses that will look great, make the fashion statement you are looking for that protect your eyes. Contact us at 281-644-2010 today!